Today we have quite a few things to bring up! First off, we have a new member to welcome to the team, @evanrichard! He's a new programmer and modeler. We'll hope to show off a lot of his work soon enough! 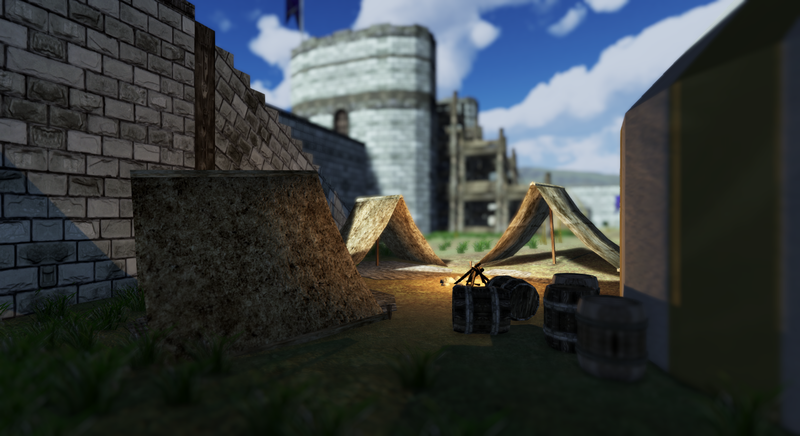 Hope to see you all in the world of EverEmber, we have a lot more to show off soon! This is MrSingularity, bringing you the latest update on progress in the construction of EverEmber's movement system. As the movement system's alpha state nears completion, I wanted to explain a little bit of what client-side interpolation is and how it makes the game a bit more enjoyable for everyone. Imagine you're an archer trying land a perfect shot on a moving target. Since you have a ping of somewhere between 50 to 100ms, it takes around 0.05 to 0.1 seconds for your message to arrive at the server. You line up your perfect shot, let loose, and it hits the enemy. Or does it? The server may take somewhere between 0.02-0.03ms to process your request, so in total there is somewhere between 0.08 to 0.13 ms of delay between you firing your arrow and the server processing your arrow fire request to see if you hit your enemy. In that small gap of time, it is completely possible for you to miss. This is where client-side interpolation comes into play. Your arrow shot will be computed using timestamps around the time you fired the arrow, which will play in a simulation that is occuring in a small time interval in the past for the purpose of hit detection. The goal behind this system is to allow you to hit your target on the server-side IF you hit your target on the client-side by accounting for and introducing a delay in the players you see on your client-side view. This artificial delay is used to give the server a breadth of time to account for transit delays between all players. Many, if not most of all multiplayer games use client-side interpolation to some extent. 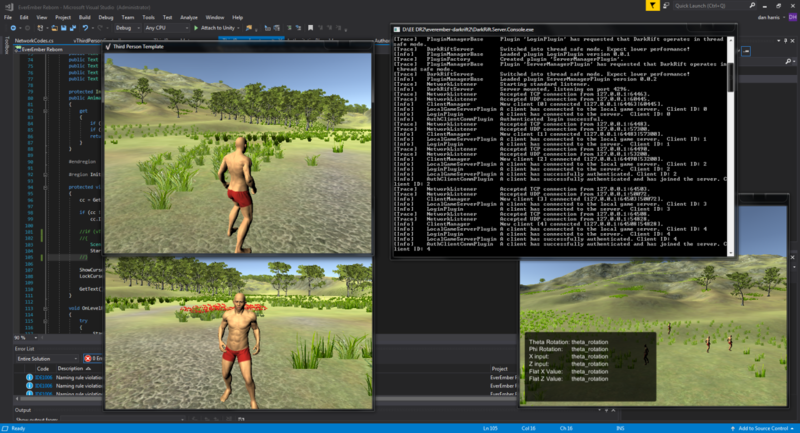 And this past week, we've implemented our client-side interpolation system into EverEmber's infrastructure. As another visual treat, we've put one of our 3d artist's character models to use in the displaying of our system. There's still work to be done and testing to be completed, but I hope to share more of my work with you all in the near future. 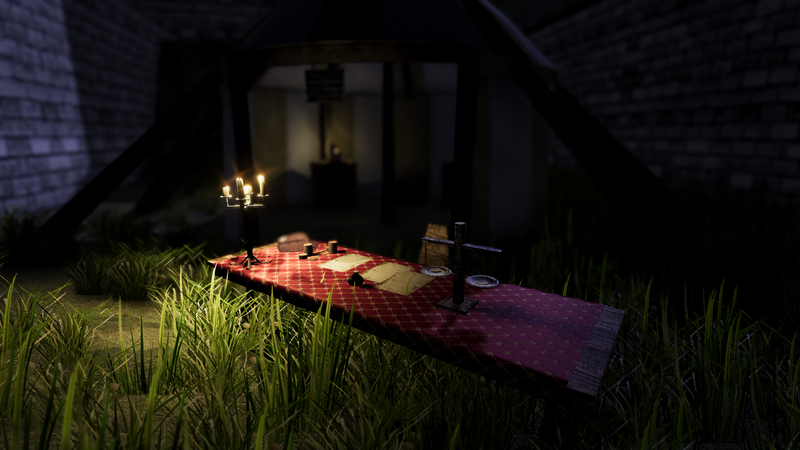 Its been two weeks since our last dev log. Its time or us to inform you as to what's been going on! We have a new team member to welcome aboard! Say hello to Mad Moss(Khris)! He's one of our new programmers! He's working along side with MrSingularity and Animagic! We'll be glad to unveil all the work done by them soon! 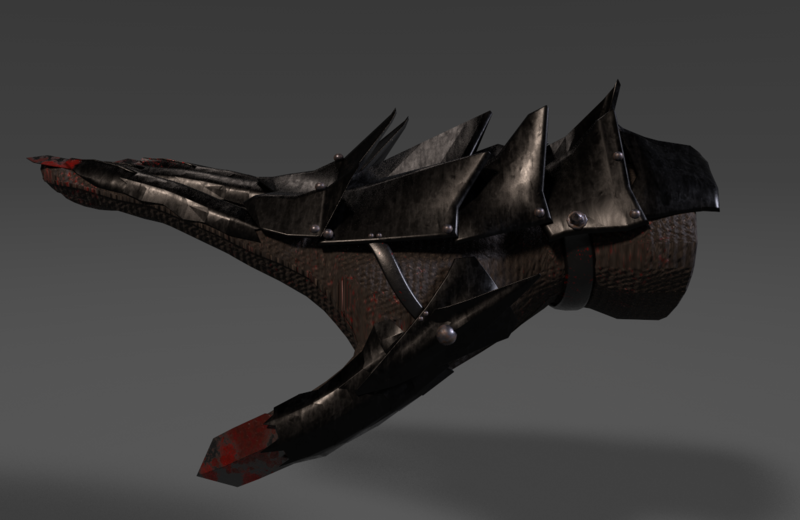 On a side note, we have a piece of the games story to reveal and a model that we recently made! High above the continent of Ember flies the Archmage’s greatest accomplishment, Sky Island. Wizards rule all of Ember with compassion and wisdom. Sorry for the lack of updates for the last two weeks. The team has had a mix of issues, some members had the flu, some had personal issues arise that prevented them from working on the project. Hopefully we will be able to provide a massive amount of updates to present to you all in the following weeks! One of our members has recently left the team, Corky. We want to thank him for his assistance and wish him luck in his work! Otherwise, we don't have too much to show off, but we do have an interesting teaser to show off to you all! 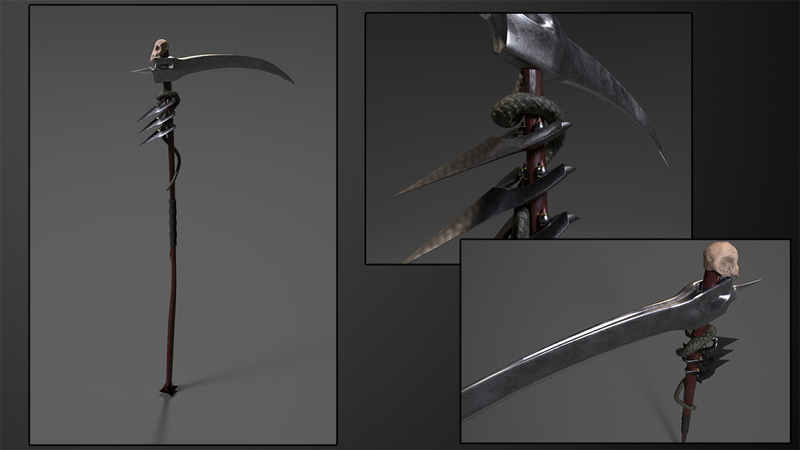 The reapers scythe, the single most powerful weapon in the land of EverEmber preceded only by the kings sword itself! This will be the first time we'll reveal any actual in game footage to the public! We also took the time to update our about us page to offer a more insightful look at what TRULY makes our game stand out from the rest of the current MMO market and why we truly believe that you'll love the game! Feel free to subscribe and follow our content! We will post some actual game play next week as well as some of our Dev logs there! 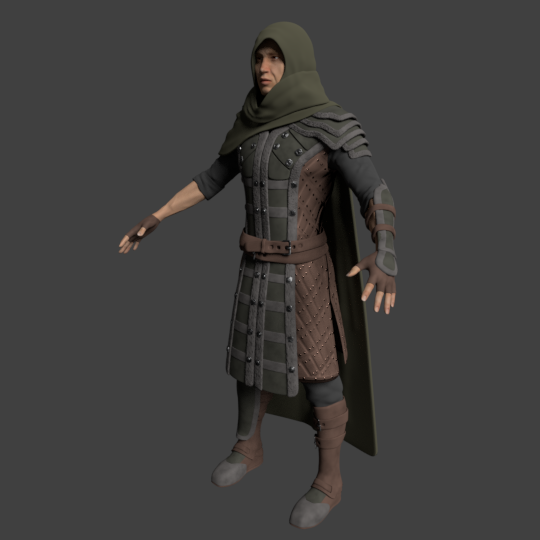 The footage we'll be presenting today is of our implementation of a UMA character into our game running around and showing off the surroundings. Its not the best footage in the world, but its something. We will be sending out a email blast today, make sure you check your spam box and if its in there, please report us as NOT SPAM! That will help us out a ton since we're using a personal email server instead of something like survey monkey. On the other hand, we have a new team member to introduce! Corky (Will) will be one of our new programmers. Give him a warm welcome! 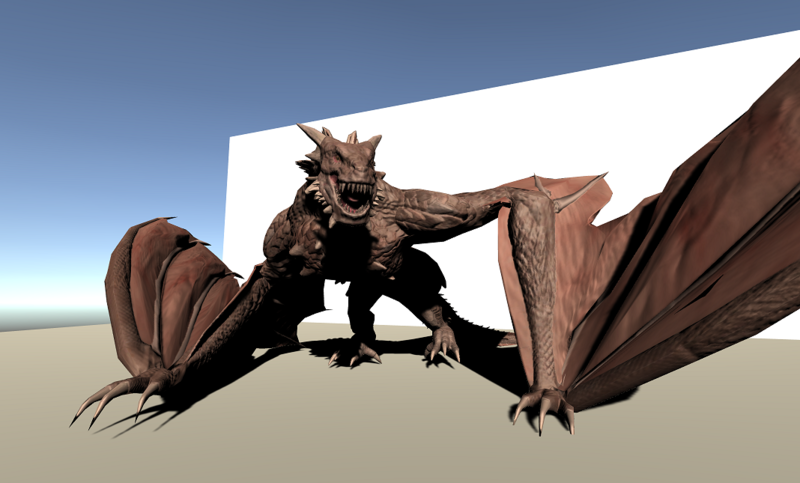 -Character creation near completion, and characters have been integrated into the game. -The server is currently being set up and may have an upgrade soon. - Ajidarr and Archemage models completed, trailer on track! Time for yet another update! Lets cut right to the chase! Graphics/Trailer Development: Our team members Mitch and Jonty are still working on the draft of the current game trailer. 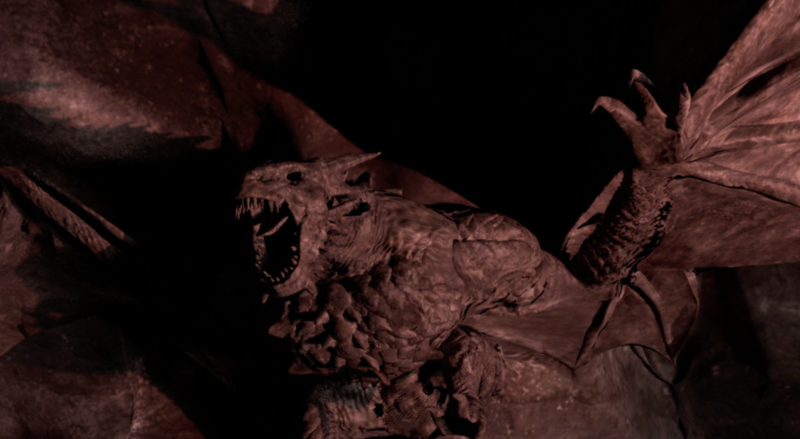 Last time we made a reveal of the great Ember Dragon, this time we're going to tease you. The object presented is the glove of the most feared creature in the land of EverEmber. Its power so mighty that even the dragons and trolls that roam the land bow down before its power. 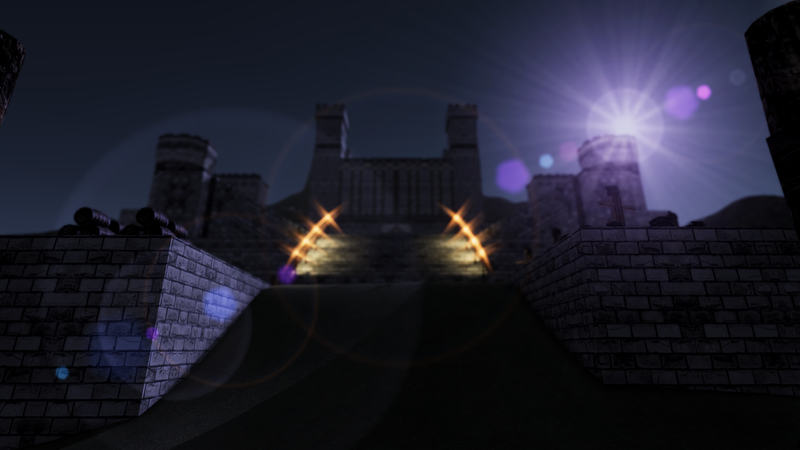 Ember Castle: The castle has been completely reworked by Amit. He took an interesting approach making the castle blend with the environment while also being the single most important location around its surroundings. Hope to see you all in the world of EverEmber soon! Its been far overdue for a new development post, but we've got a lot to talk about! Our team has been working diligently on making three core things for the game, the actual game, the trailer, and the kick starter. Lets start off with the game's development. Recently we've spent a large chunk of time optimizing the game. All of the developers were slowed down due to the massive performance issues that we were having. 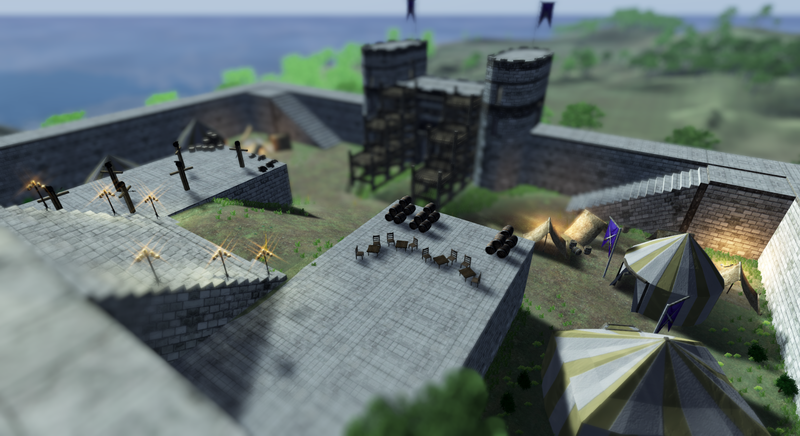 We've managed to optimize the various settings and objects in the game to help speed up development, and its been very successful. Following the optimization our progress has skyrocketed. 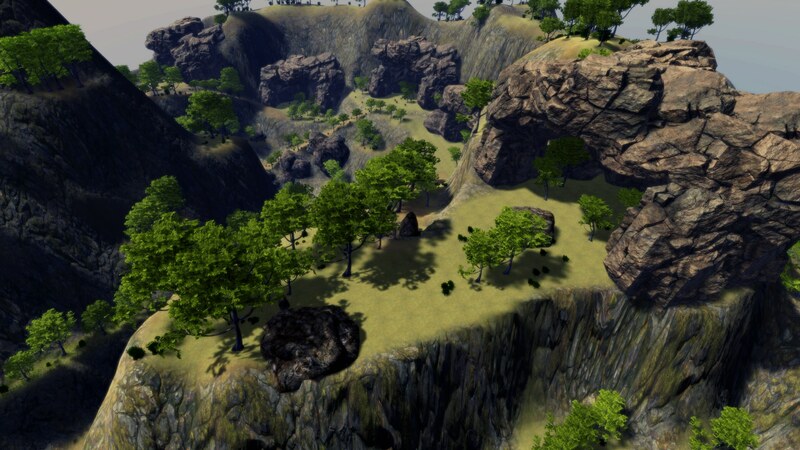 Our developer MrSingularity has done a large portion of work for the core of the game. -A large portion of the networking registration and login system has been completed. Going onward towards the trailer, our developers Mitch and Jonty have done a large sum of work. Mitch has been working towards the creation of a new reaper model which will be revealed soon. Jonty is currently formulating a draft of the trailer, so keep your eyes peeled. Finally, the kick-starter is being formulated. We're going to redesign the donation tab on the website to match our kick-starter rewards soon! In order to compensate our veteran donors and players, players who are veterans will be granted a beta key once we reach beta, and donors will receive a complimentary key for their donations (if it matches the price of the release, if the donation is lower than the release price, we offer a discount towards the purchase of the game). Hope to see you all running around with us in the world of EverEmber soon! We got some exciting news! We hope to see you all chatting away! Check out the widget on the right side of the website as well! Secondly, Welcome a few new members to the team. We hope they'll stay a while and we'll be seeing lots of creativity come from them! Last but not least, we have a tiny teaser about the background of the game and a piece from the trailer. Below is depicted the hand of the arch mage of EverEmber. The events taking place are his attempt to save humanity from the foul creatures that have spawned around the land, some of which those who have played EverEmber Online may remember, such as the goblins of Turgis, and the reaper. Why is he trying to save the land? What happened? You'll find out more soon in following dev posts. We hope to have some more footage for you all soon!